Stefi Weisburd, Outreach and Education Manager with CHTM and the UNM School of Engineering, recently guided about 30 high school students from Albuquerque through their orientation to their STEM internships at UNM on at CHTM. Weisburd works hard to identify STEM internship opportunities and placement for students at UNM. 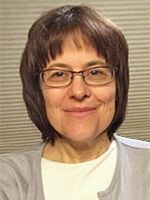 She corresponds with professors individually to find the best match for the students' interests, which can range from computer modeling and programming, to biomedical engineering, to hands-on laboratory work. A STEM internship can be life-changing for the student. Weisburd says, “Beyond technical expertise, an internship teaches students non-cognitive skills, improves their math, presentation and interpersonal skills, and introduces them to the university culture." A STEM internship experience gives any student a head start in STEM and imparts motivation and confidence. It helps to broaden a student's outlook and their boldness in pursuing ambitious opportunities. Priyanka Jain, a La Cueva High School student who worked with Distinguished Professor Jeffrey Brinker and Professor Marek Osiñski during her internships at UNM, is already going on to do great things. 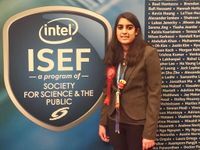 Jain won second prize in the Biomedical and Health Sciences category at The Intel International Science and Engineering Fair (Intel ISEF) in April of 2016, receiving a scholarship of $1500. There were 1,760 participants from 77 countries. Recently, Jain was named as a Hesburgh-Yusko Scholar by Notre Dame University. Recipients of the scholarship receive $100,000. Only 19 students were chosen by the university worldwide. Jain will attend the University of Notre Dame in the Fall as part of the class of 2020. Going forward, Jain's hope, which she showcased at the ISEF, is to develop the next generation of cancer treatment. Her brother, Ajay Jain, expressed to Weisburd, "Thank you for all your help for the outreach program. It is only due to outreach programs that kids get a head start in STEM." UNM is New Mexico's Flagship University. UNM is rated by Carnegie as a "Very High Level Research Institution.” UNM is the only university in New Mexico to earn that rating, their highest, from the Carnegie Classification of Institutions of Higher Education. UNM is a partner in 4 National Science Foundation Engineering Research Centers. Only UC Berkeley exceeds UNM with a total of 6 ERC partnerships. CalTech and MIT each partner in 3 ERCs. UNM is in the top 100 universities in the U.S. for patents issued. UNM came in at number 42 for Fiscal Year 2013/2014. Weisburd tells the students about the great advisors available to them at UNM, including Carlin Ami, Lourdes Garcia O’Keefe, and Steve Peralta. Advisors provide a personal connection to UNM, along with guidance and encouragement. Students learn about other sources of support such as Engineering Student Services, which includes tutoring, scholarships and internships. They find out about student groups such as the Society of Women Engineers, The National Society of Black Engineers and Engineers without Borders USA. The orientation also overviews working in a laboratory, safety, and sources of support for the student. The morning concludes with a guided tour of the CHTM facility in small groups. “This year, most students will be interning in the School of Engineering. A few will be placed in the Chemistry department, and possibly Physics and Astronomy. Other possibilities for placement include north campus with Diane Lidke, Christina Salas and perhaps others, including a neurologist," said Weisburd.